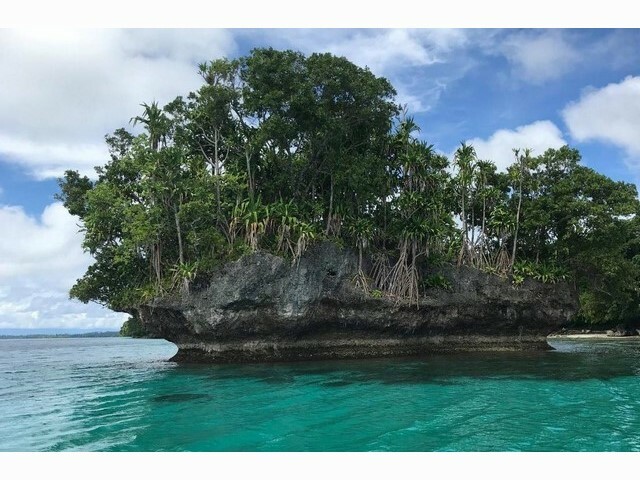 Papua New Guinea is a country filled with adventure, where ancient customs and diverse ecosystems seem almost untouched by tourism. Papua New Guinea is a seriously compelling destination for adventurous travellers. 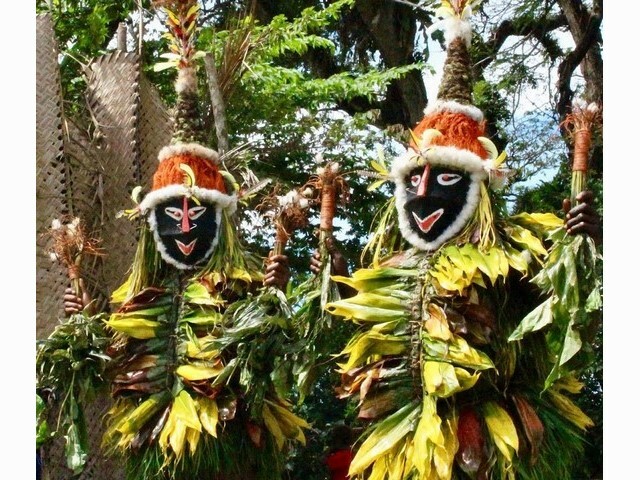 Papua New Guinea is an island that is has been splashed with colour. 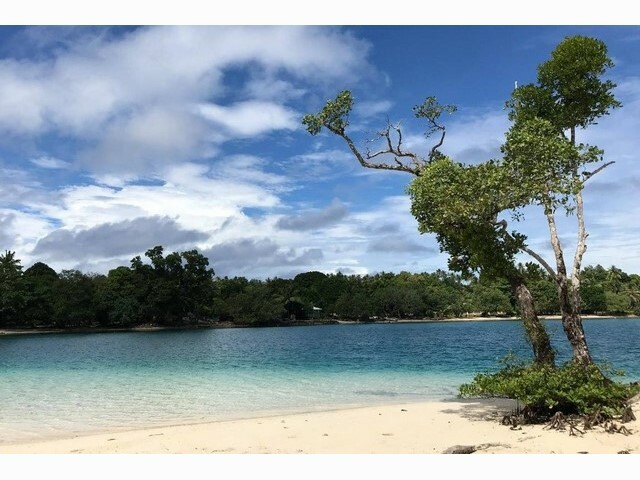 It offers a heady mixture of bright encounters with traditional tribes, off-the-beaten-track exploration in wildlife-rich jungles and world class diving only metres off from pristine beaches. This astonishing collection of islands is as diverse as they come. 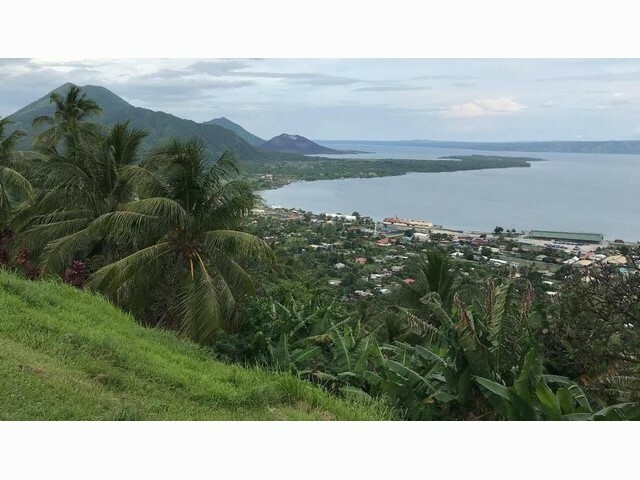 Despite having long been a destination for Australian hikers, eager to tackle the remote and testing Kokoda Track, Papua New Guinea is one of the last few countries on Earth able to claim that it is unspoiled by tourism. That is exactly why you should be excited to visit this country. The further you can get from the beaten track of package holidays then the better to get to know the real country. 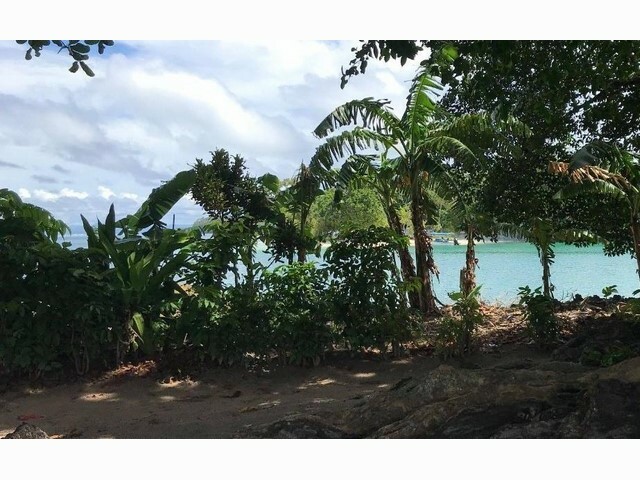 Its lack of modern infrastructure combined with perfectly preserved traditions and lush green peaks that descend to peaceful remote beaches tempt travellers in search of a pioneering adventure. The intriguing cultures that remain here rival the amazing natural environments and vie rightly for your attention. 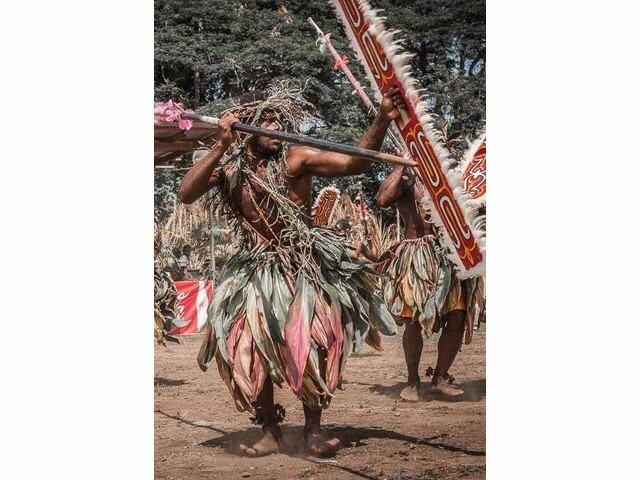 You can see the men of the Baining Tribe celebrate coming of age with an extraordinary fire-dancing ceremony, in which adolescent men leap through naked flames as the tribe elders’ chant and drum. You can start by setting a course for the highlands where the native wildlife presents a mixture of vibrant feathered birds and lush vegetation of every shade of green, and then travelling to discover a turquoise coastline which harbours marine creatures of seemingly every colour possible. I have not yet even mentioning the striking painted faces and extravagant headdresses of the hill tribes. 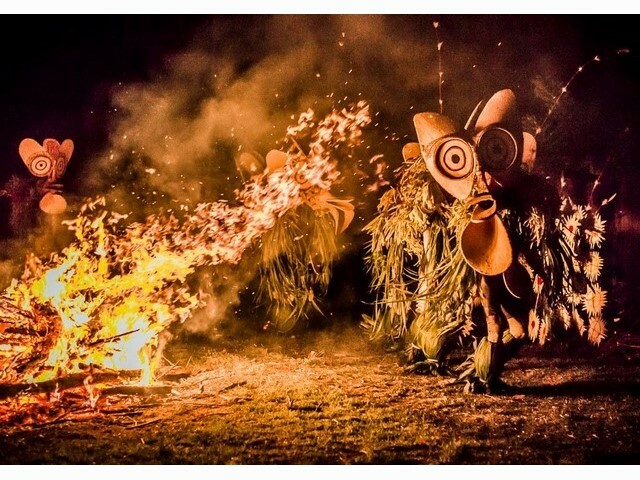 At the Warwagira & National Mask Festival, traditional headdresses and masks are displayed, surrounded by dance, storytelling and ritual performances. This event is started with the Kinavai Ceremony on the beach which is performed by the local Tolai tribe. 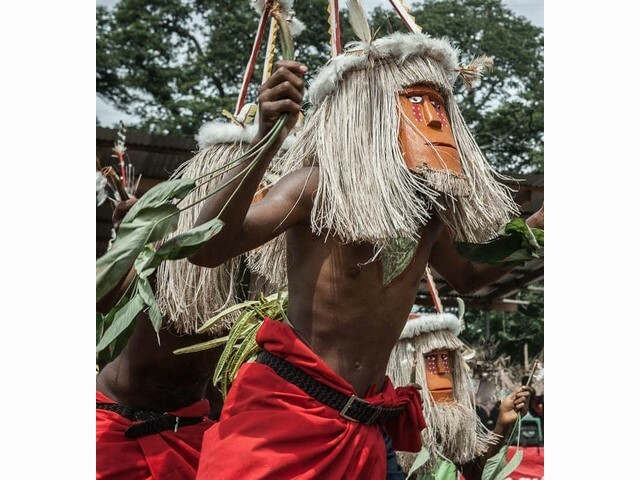 Dukduks and tumbuans, which are masked forest spirits, emerge from the sea in canoes to dance as kundu drums beat. It’s hard to decide what is the best part of a trip to Papua New Guinea. 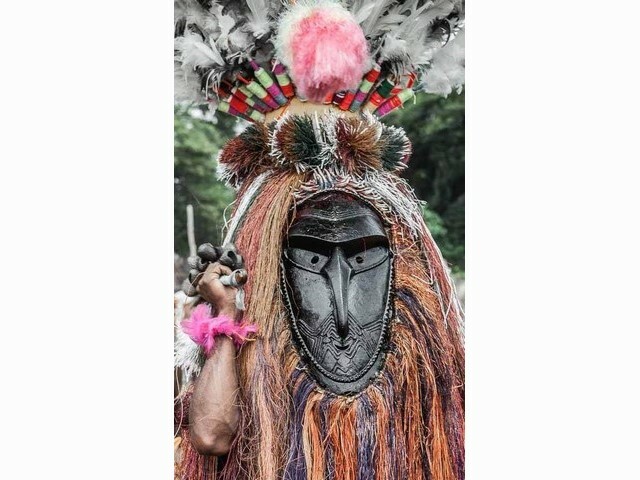 It could be meeting the bright Huli Wigmen, enjoying the exciting fire dance of the Baining People or meeting the locals in the stunning Duke of York Islands. 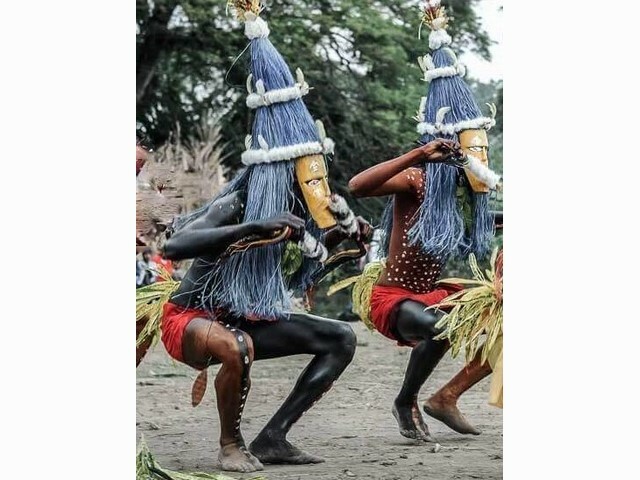 Maybe it’s just spending time with remote tribes and experiencing festivals like the Warwagira & National Mask Festival, either way, you start to get under the skin of this fascinating country. Viewed 305 times since 15 September 2018.